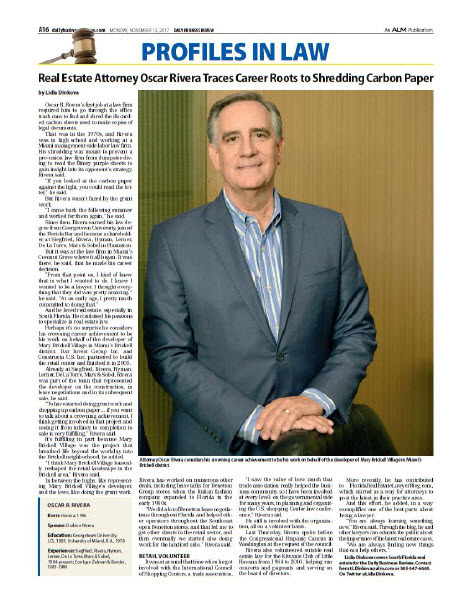 Oscar R. Rivera’s first job at a law firm required him to go through the office trash cans to find and shred the discarded carbon sheets used to make copies of legal documents. That was in the 1970s, and Rivera was in high school and working at a Miami management-side labor law firm. His shredding was meant to prevent a pro-union law firm from dumpster-diving to read the flimsy purple sheets to gain insight into its opponent’s strategy, Rivera said. “If you looked at the carbon paper against the light, you could read the letter,” he said.